"Light and fluffy unbaked cheesecake. Very fast and easy to make. 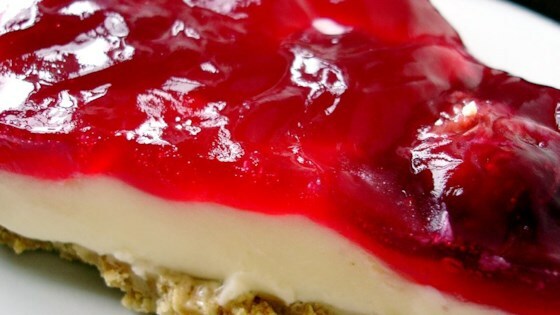 Husband refuses to eat baked cheesecake after eating this!" Not bad, but didn't really have a good cheesecake consistency. Also, it was very sweet. Next time I will cut back on the sugar. Fantastic. I used a premade crust. The filling was light and fluffy. Easy to save fat/calories by using light cream cheese. Was gone in mere minutes on Christmas. This is amazing!!! I made it with my wife and it was really easy. I will defenitly make it again. But there is one thing wronge with it... it dosn't have any cheese in it.